I have been playing Slowpitch for many years, but I only became a professional about eight years ago. In those years I have tried everything from the best to the worst bats on the market. But, the DC-41 SuperMax ASA from Miken that is my latest acquisition is a class higher than all of them. The first thing that impresses me is the amazing graphics that will catch your attention immediately you get it from the wrapper. I also like the grip, and the feel it has on the hands and the fact that it is hot of the wrapper with an incredible pop is an added advantage. The technology behind it such as the F2P and Triple Matrix Core did not seem important to me, but once I started using it, I realized that they are the best slowpitch softball bats that could ever happen to the bat. Barrel: It has a standard size barrel that is 14 inches long and with a diameter of 2 ¼ inches. Tournament Approvals: This lovely bat only has tournament certification from ASA, and this is one of its greatest shortcomings because it locks out many players from enjoying its services. Material: DC-41 14” SuperMax is Certified 100 Comp, and it uses 100% Premium Aerospace grade fibers to give you an impressive performance and unmatched durability. In fact, mine still looks as good as new eight months later despite the fact that I swing it several times each week. F2P (Flex 2 Power) Technology: This technology is one of the things that sets Miken bats apart from the rest because it will optimize the flex of the barrel and loading to ensure that you get maximum speed through the zone. SuperMax End Load: It has an end load with a full ounce, and this means that it will give you maximum power making it perfect for a power hitter like me. Design: DC-41 is a two-piece bat with a fully composite construction. 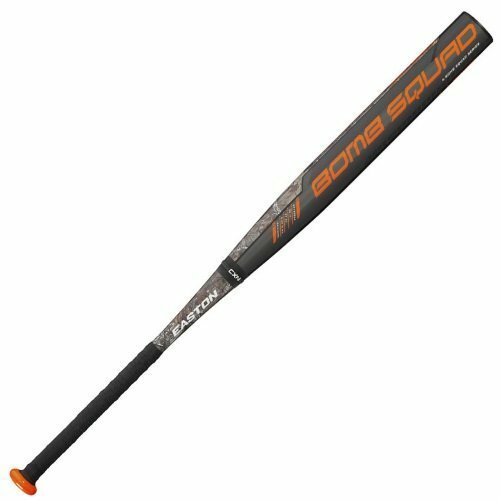 Triple Matrix Core: This technology is one of the best things about this Slowpitch bat because it increases the volume of the composite by up to 5% and it also eliminates seams to ensure that you get maximum performance from the bat and also durability. It gives slowpitch players a variety of length/weight options. DC-14 crashes the ball effortlessly, and you will not have any trouble hitting them over the fence. 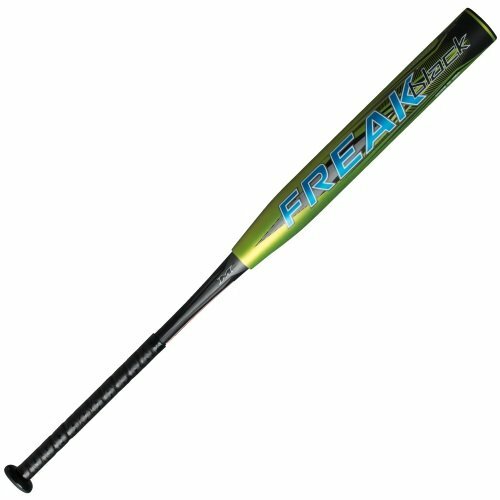 This bat is hot out of the wrapper, and it also has an amazing pop that makes me want to swing it all the time. The sweet spot is massive, and you will not have any trouble locating it. There are minimum dead spots on this bat and almost no vibrations at all. Although the barrel feels different from the 2014 model, it flexes more when it comes in contact with the ball. It only has tournament approvals from ASA, and this means that some players cannot use it in their league. Just like with most other Miken bats you do not get the opportunity to choose from several colors. I hardly get to use it because every person in the team wants to swing it. The high quality of this bat makes it expensive. Am always looking to upgrade my bat each year, and so you can be sure that I have been swinging different types over the years. However, I think I found “the one” and so it will be many years before I upgrade from the DC-41 SuperMax. It has everything that I can ever wish for in a Slowpitch bat, and the good thing is that it is hot out of the wrapper. The few demerits such as lacking variety in color are immaterial, and you will hardly notice them. And so as a seasoned player I would highly recommend this bat to any batter who wants to improve their skills and also enjoy the game.